Looking for new ways to excite and engage your staff for PD? 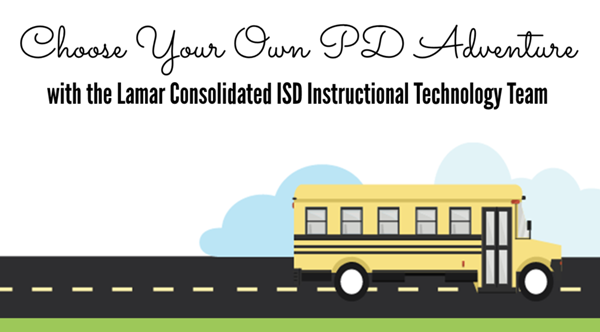 Join LCISD as we travel on a PD adventure! Personalized learning is what it is all about. This session will guide you through how we flipped our back-to-school training upside down, inspiring teachers through choice. From “Choose your Own Adventure” to an “Amazing Race,” campuses were able to take ownership of their learning.